Most students say a permanent goodbye to university life after the rigor of their Bachelor studies. However, a select community of students choose the less-traveled path: staying on at university to pursue their Masters and perhaps their doctoral studies. What motivates them and how do they achieve this? 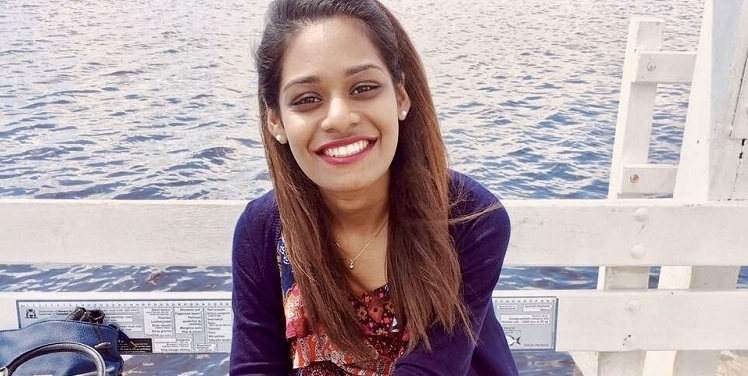 We speak to Nabisha Binte S M Syed Ali, a TUM Asia alumnus who chose to return to the university to pursue her Masters. Q: Hi Nabisha, will you give our readers a brief introduction of yourself? Nabisha: I was born and raised in Singapore all my life. I was first introduced to TUM Asia prior to my undergraduate studies, where I then was admitted to TUM’s Bachelor of Science in Chemical Engineering. After enrolling into the programme and completing it, I then chose to continue with my Masters immediately after my Bachelor studies. Q: How did you start preparing for your graduate studies? Nabisha: To be honest, I had no idea of what to expect till I started attending classes. When I was deciding between working and furthering my studies after my Bachelors, I decided to try for a Masters. By God’s grace, I was accepted into the programme and hence decided to pursue my graduate studies. On a side note, it has always been a dream to finish my Masters and hence I decided to just grab this golden opportunity that came by. Q: To other local students like yourself, who transit from Bachelors to Masters, what advice do you have – now that you are one-year into your Masters? Nabisha: I would say that the only reason a person should pursue their Masters is if he or she is willing to complete it wholeheartedly with an end goal. The reason for completing your Masters should be your driving factor as the schedule is just as packed as the undergraduate studies. Thus, in the moment I was accepted to the Masters in Industrial Chemistry, I knew that I had to work hard and at the same time explore my options for the future workforce by taking electives that I would love to pursue a career in. The classes in the TUM-NUS Masters promote a sense of independence as you will no longer have tutorials, only lectures. One learns to speak up in class and be bold in asking questions about the concepts taught by the professors before the class ends. Q: Going from a class of seventy students to a class of less than thirty students, how did you cope with this change in classroom dynamics? Nabisha: I am naturally more of an introvert and hence the change in classroom dynamics was beneficial to me. I believe it had a positive effect on my learning, because the smaller class size made it easier for me to speak up during lessons to clarify my doubts, and as a result – I gained a newfound confidence in my area of expertise. Q: Now that you are in your final semester, tell us about your Master internship and thesis. Nabisha: I was given an opportunity to do my thesis with TUM Professor Johann Plank in the field of Building Chemistry & Construction materials. Professor Plank conducted many interesting experiments during his module, and this made me very curious to learn more about Construction Chemistry. This was one of the electives I took and I am thankful that an internship and thesis experience has spun out of it. I was hoping to have been selected for an internship in a company in Germany but it did not work out the way I hoped for. Nevertheless, I am looking forward to work on my thesis with full concentration, getting to know my group mates in Professor Plank’s group and also enjoy the side perk of being able to spend nine months living and traveling around Europe again.